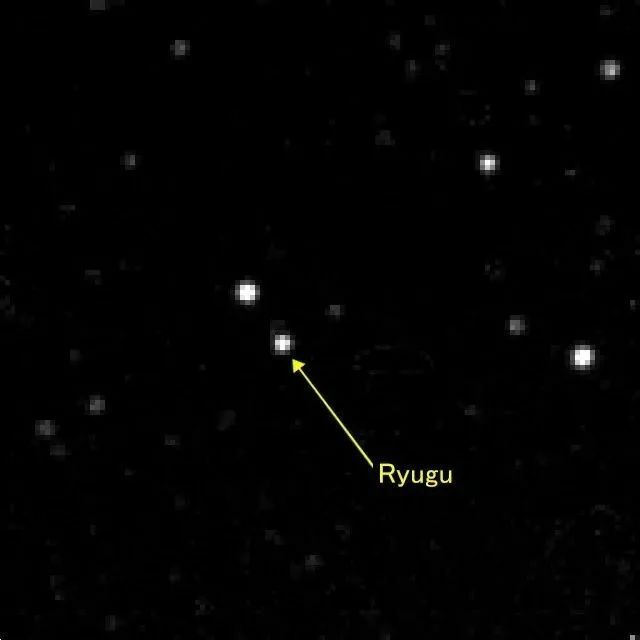 S. Watanabe, et al., Hayabusa2 arrives at the carbonaceous asteroid 162173 Ryugu—a spinning-top-shaped rubble pile. Science (2019). K. Kitazato et al., The surface composition of asteroid 162173 Ryugu from Hayabusa2 near-infrared spectroscopy. Science (2019). 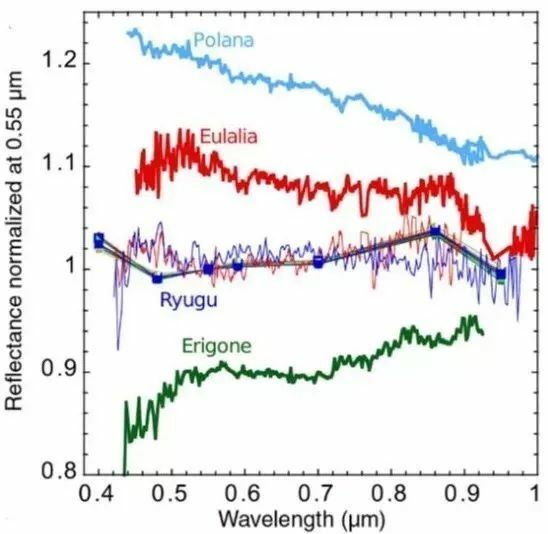 S. Sugita et al., The geomorphology, color, and thermal properties of Ryugu: Implications for parent-body processes. Science (2019).